SNIF™ is our comprehensive Configuration Management Database (CMDB) that reports on the current and historical configurations of all IP-enabled assets in each customer’s enterprise, regardless of make, model or location. SNIF™ supports Complete IT Asset Lifecycle Management and Configuration Reporting. SNIF™ utilizes high performance agentless scanners. It is adaptable to Customer’s chosen reporting profiles, whether horizontal, vertical, departmental or by location. SNIF™ offers over 200 stock reports and each screen is printable and exportable to Microsoft Word and Excel. See IT Information as a Service™ for a listing of some of the SNIF™ stock reports. There are many aspects to successfully managing large IT Eco Systems. Some of the less considered are evergreen inventory and the configuration history of the inventoried assets. Symphion delivers accurate evergreen inventory along with historical configurations of each of the individual assets within the scope of the service. The inventory and historical configuration of each asset is available in our Master Configuration Item Report from SNIF™. The report lists every item within and attached to the inventoried asset (except for the color of the machine). Each asset type has a unique configuration. For instance, with an IT asset such as computing devices, a major concern may be installed software and used disk space. 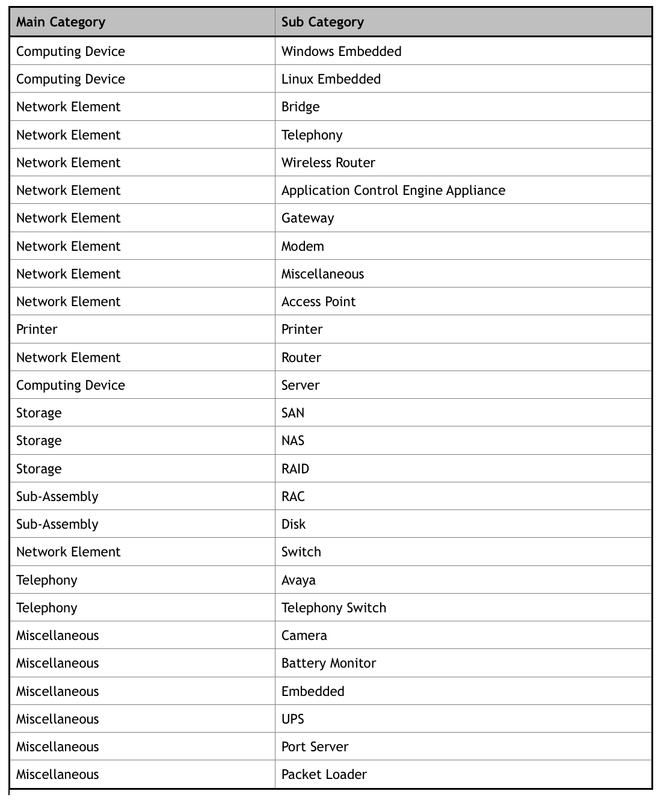 There are countless configurations reported and available regarding each asset. Symphion Concierge Teams use SNIF™ to deliver our IT and Compliance Information as a Service Solutions. SNIF™ is an N-tier application that utilizes and is deployed on Microsoft technologies.